Leading Manufacturer of fabric paper tube, textile paper tubes and spiral paper tube from Noida. We are successfully ranked amongst the top manufacturers and suppliers of Paper Tubes for Fabric. Developed using quality raw material that is procured from our trusted vendors of the industry, this tubes is manufactured under the strict supervision our quality controllers. We manufacture Textile Paper Tubes which are available in various forms of finishing including bull nosing, notching and burnished in varying combinations of colors to meet customer specifications. We are renowned for our top quality Textile Paper Tubes which are in high demand globally as well as in domestic markets. 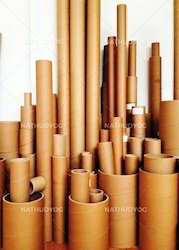 Our clients can avail the finest range of Spiral Paper Tubes from us. The offered paper tubes are widely used in various industries to roll plastic sheets and paper. These are exclusively made by our skilled professionals using the finest grade paper pulp material and latest machines. 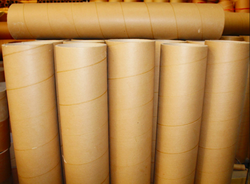 The offered tubes find their extensive use to yarn winding, FAX and STD rolls, tissue paper tubes and others. In addition, these Spiral Paper Tubes are highly appreciated for their moisture resistance and smooth finish. 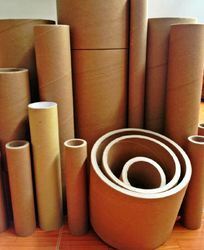 Looking for Paper Packaging Tubes ?